February 27, 2011 Dan O. 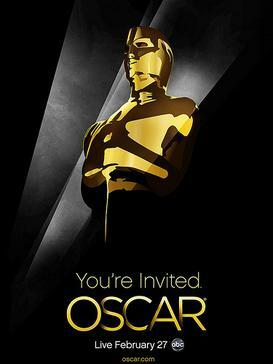 So as everyone among the film community know, it is Oscar time babyyyyy!!! So that means get ready for some of the biggest upsets, wins, and probably tearful moments of the year. It was a great year in the film, and this is what has all come down to it people. The big night, and here are my predictions, I hope I do well. I must say that this is a pretty solid year for the Oscar’s this year. All the nominees look just about right the only problem is how will the picks turn out? This year, everything seems like it’s coming down to Old School (The King’s Speech) vs. New School (The Social Network). The past couple of years The Academy (I hate that word) has been looking more towards hip, new films to win it’s Oscar Best Picture. Films such as Slumdog Millionaire, The Hurt Locker, and American Beauty have all been unconventional new films that have seen their taste of Best Picture gold. But there has also been countless period piece wins for films such as Gladiator, Shakespeare In Love, and The English Patient. Also, many other major award shows have already presented the Best Picture win to The King’s Speech which is really chasing up people’s noses, as many other award shows have been choosing The Social Network as theirs. In my opinion, I liked Inception more than both of them, and yeah it’s nominated, but in all honesty it has no chance of winning. When it comes down to it I think that The Social Network should win, because it is an age-defining film, that went from being known as “The Facebook Movie” to being known as the top contender for every Oscar it’s nominated for. I hope that The Academy goes for the new school, because if they had The King’s Speech win, everyone would feel robbed really. As for Best Actor, I think that Firth deserves to win for all his years dedicate to films, but Eisenberg fully deserves it. I think what the Academy is doing more and more now, is honoring actors & actresses not for just a certain performance they had, but their careers and saying that it’s their time. I don’t mind seeing stars like Jeff Bridges, Kate Winslet, or Colin Firth win an Oscar, because of the career they have but I’d rather see the “best performance of the year award” go to the BEST PERFORMANCE OF THE YEAR. When it comes to the Best Actress category, it seems like Natalie Portman is the sole winner for here, as she has won almost every single Best Actress nomination at every award show. However, there is once again that little idea that it’s Annette Bening’s “time” to win, as she has been nominated twice, and still has not won yet even though her career has been going on for so long. I want Portman to win, and most likely she will, but I still have a feeling that The Academy may pull something out of their pockets and surprise us all with a Bening win. I’m very disappointed that my main man Christopher Nolan was not nominated for Best Director this year. He was snubbed for The Dark Knight, and now he’s being snubbed again, and it just pisses me off knowing that certain directors that do such a good job with daring material, don’t get the credit they deserve. I think if Nolan was nominated, he should have won, but I know it’s The Oscars, and not everything works out the right way. This year had great films, and I’m glad to see that the Oscars have turned out to be this way. I loved 2010 as a year, and the films made it awesome. Here’s to 2011, and let’s just hope that the Oscars are awesome. Thanks everybody for always reading, and keep on checking!! Glad you voted for Hailee Steinfeld as well! I did too! We have quite a few similar picks! It will def be a fun show. You think True Grit over Black Swan for Cinematography, huh?! I don’t know, I hope not. I’d love to see Inception for almost everything it’s nominated for. It seems like most of our predictions match. Why do you think Hailee Steinfield it’s going to win? I really don’t think so. Though I liked her performance, Melissa Leo’s was better. I see you agree with me in regards to the movie Inception; the movie is phenomenal. Unfortunately, the Academy still tends to be conservative when deciding on the categories. it’s really unfair. Take The Social Network for example, an unconventional story, but a solid one; and it has received many accolades and awards. Anyway, Inception continues on being my favorite movie of 2010. Read if you’d like my 2011 Oscar nominated movie reviews; you’ll understand why my preferences. Inception is great, but The Academy won’t recognize it for anything which really bums me out, because it just is so good. Great predictions! We differ on a few points and I pray you are not correct about Steinfeld stealing it from Leo, or even from Adams. I would love a Toy Story 3 Best Picture upset. That would be amazing! It isn’t going to happen but still … I too think that this bunch of films is a great one. As for the modern vs. traditional argument though, it makes it sound as if voting for a period piece is old school. The King’s Speech is a particularly progressive period piece and really, it is just a different genre. I don’t think voting that way makes the Academy seem dated. Although I do think The Social Network is the better picture overall. I just hope that they go with The Social Network, because it really is a better picture honestly. Wall E didn’t even get nominated, UP didn’t win and TS 3 gotta win this time..
Just a question – for best Foreign film you’re going with a blind guess, right? Yes, but I would like Dogtooth to win since it’s so different and strange. Seems about right although I have a lot less love for Inception than everyone else on here seems to. Great action movie. Not a lot more than that. I think the supporting actress category is the most unsure of all my predictions. It could very easily go to anyone. True, but I hope it goes to Leo even though she is doing some strange FYC things right now. Man, I thought there would be the Fincher director win too – bummer! I really would have liked to have seen The King’s Speech dominate the Supporting Actor/Actress categories, too, if only because Rush has been an amazing actor for years where Bale has been inconsistent and kind of one-note, and because I want the world to encourage Bonham-Carter to do things with her talent other than work for her domestic partner. I also admit to just not liking Bale in general, and maybe I’m just naive but I’m kind of surprised to see a guy with a poisonous image like him actually win. Looks like The Fighter was enough to turn his image around. Tom Hooper beating Fincher is a huge joke that would be funny if it was funny at all but it’s not. Hooper may have directed the best picture of 2010– by Oscar standards, though it is a really, really good movie, and so is deserving of recognition– but he didn’t do a better job directing than Fincher. The Social Network is much more a director’s feat than The King’s Speech, which is mostly good because Hooper knows where to place his camera and get interesting shots and angles but mostly because he lets his actors act without getting too fancy. TSN is all about Fincher’s efforts to make a courtroom drama about Facebook palatable and gripping. To say Hooper did more is kind of an insult to what Fincher did, but the Academy recognizes who it recognizes and Hooper did a better job politicking. Exit should have won. Missed opportunity, Academy. Now we’ll never know who would have collected that award for Banksy.